Whiplash Injury is a soft tissue injury to the muscles and ligaments in the back of your neck (cervical spine), frequently associated with (or caused by) low-velocity rear-end motor vehicle collisions. 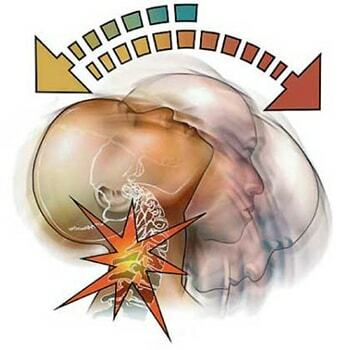 The whiplash injury diagnosis is done by considering the patient history, symptoms and X-rays or MRI scan. The normal Cervical spine has a curve (called lordosis) in the shape of the letter “C.” A Cervical Spine subjected to a Whiplash Injury frequently loses that normal “C” curvature. This condition is normally treated non-surgically. Intermittent use of a soft foam cervical collar, medication for pain and inflammation, and physical therapy exercises are all useful in diminishing pain and stiffness and regaining function. Furthermore, at Spine & Orthopedic Center, our spine and pain management board certified specialists can help all patients to live pain free. For appointments, call us at 888-409-8006.